Do you like to speak your mind and have a passion for writing? Have you always wondered what happens behind the scenes? We’re looking for some dedicated arts enthusiasts to write for our blog and join our Project Press Gang. If selected we’ll put you in touch with a company or artist who’s presenting here and you’ll have access all areas throughout the production process. You’ll be able to meet and get to know them, interview the people involved in the project, visit rehearsal rooms and studios and tell us all about your experiences. If you are writing about a performance you’ll also get 2 tickets to the opening of the show and if you are writing about an exhibition you’ll be invited along to opening and have exclusive access to the artist, Curator and installation process. The most important thing is that it is your voice, your view, your words… so make it your own! Send us a short sample of your writing (max. 500 words). This can be interesting, fun, critical, whatever you want to write is entirely up to you, so long as it’s your own opinion, your voice. Tell us a little about yourself and why you would like blog for us, please include a picture of yourself and a contact telephone number. 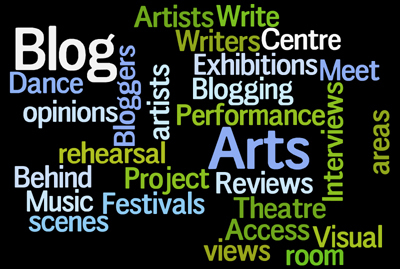 If you would prefer to write about performances or exhibitions please let us know. We will be accepting applications throughout the year for bloggers so there is no application deadline.